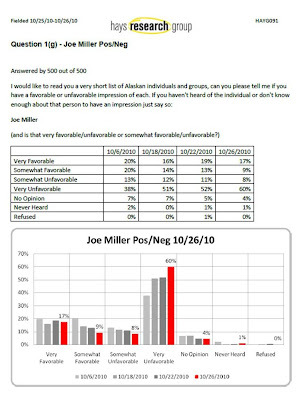 The Midnight Review: Joe Miller's Approval Ratings and What They Mean,..
Joe Miller's Approval Ratings and What They Mean,.. 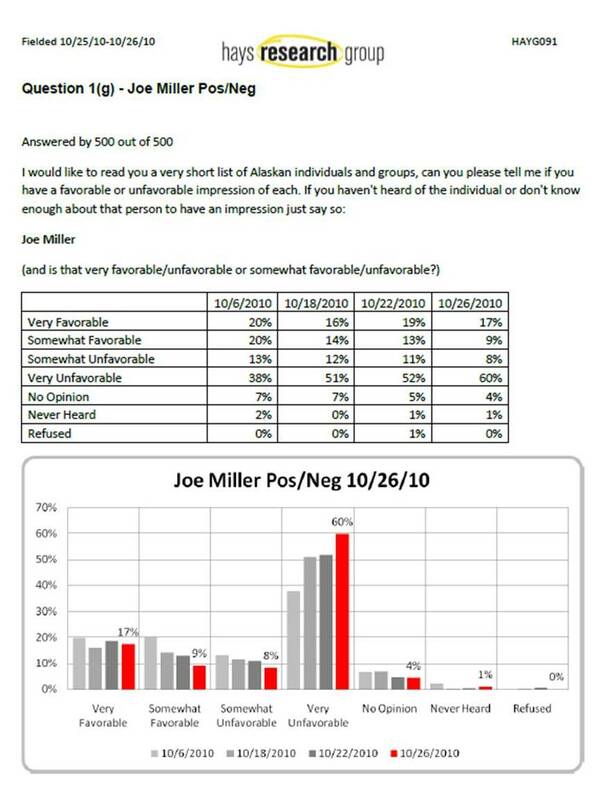 I saw news that support for Alaskan teabagger Joe Miller has dwindled down to new lows, with 68 percent of people polled stating they have an unfavorable view of the right-wing candidate - compare those numbers with the 26 percent that have some kind of favorable view of Miller. Below are the numbers. My simple analysis of the figures shows that while those who have had a "very favorable" view of the candidate continue to have that opinion, over time the rest of the electorate has learned enough about Miller to develop an unfavorable opinion, and that is because the majority of the electorate are not conservative. Most voters lie somewhere in the middle, and as people have learned more about the candidate, they were more inclined to oppose his positions - this is why Sen. Lisa Murkowski has had considerable success so far as a write-in candidate.